Does it matter which type of floral arrangement I choose? What is appropriate to send for a cremation? Is it alright to send brightly-coloured flowers for a funeral? Would it be all right to send flowers if the death notice requests a charitable donation, "in lieu of flowers"? May I send a live plant to a funeral home? If so, will it be sent to the family afterwards? Are there special considerations when sending flowers as a group? How should we sign our names? I've missed the funeral! Is it OK to send flowers to the family's home? If so, for how long afterwards? Where can I find a suitable florist for my funeral flowers? When a death occurs, knowing how to comfort those left behind is not easy. 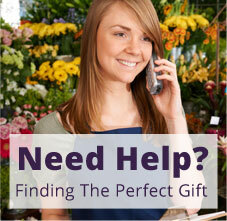 As difficult as it is to know what to say, sending funeral flowers can be sometimes even more difficult. Just what is appropriate to memorialise relatives, or people to whom you are not related? How about those you've not personally met, such as the wife or husband of someone you know. Anyone may send floral baskets or living plants. They are especially appropriate when the sender had a closer relationship to the bereaved than to the deceased. These baskets are generally of an all occasion type, and are sent to the bereaved's home or workplace. Sympathy baskets, sent to the funeral home or the bereaved's home, are appropriate when sent by family, or those who had a deeper, or formal relationship with the deceased. Floral wreaths, crosses, and sprays, available in many sizes, are appropriate when sent by anyone other than those not acquainted with the deceased. The exception to this would be associations that would like to honour the deceased for service during their lifetime. Younger children, or grandchildren of the deceased, will like to honour them with lid arrangements. These, as well as casket covers, are traditionally reserved for family members. Should you wish to send an arrangement of this type, be sure to ask the family first. Floral arrangements known as tributes are generally chosen by good friends or family members. You may memorialise someone by choosing a special design based on an aspect of their personality, their occupation, an association membership, forces connection or a hobby. Other tribute arrangements are available as well. Tributes are also appropriate, given by anyone, in the case of cremation. Certainly. Bright flowers can reflect on the energetic personality of the deceased. They may be chosen to send a message about how we felt about that person - that, in life, they gladdened our hearts and made us feel happy to have known them. Yes, it is appropriate to send a green or flowering plant. Some funeral homes will deliver plants or flowers to the bereaved's home after the memorial services, if specified. Others may require that the family take them home with them. Ask the funeral home staff about their policy. Absolutely! Flowers are always appreciated, no matter when they are received. Even if you will also be attending the funeral, sending flowers to the bereaved's home is a wonderful gesture. Some people choose to send flowers a week or so after the funeral, after the necessary chaos of a death. It has actually become popular to send flowers to the home over a period of time after the funeral to remind the bereaved that we are still thinking of them and their loss. This is an area where using a local florist is often more appropriate as nearly all local florists have lots of experience in providing funeral flower arrangements and there are some florists that specialise in this area. 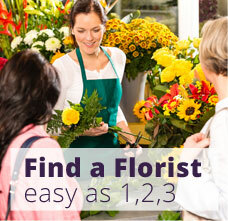 Your local florist will be able to create and theme a unique floral tribute based on the life of your loved one and offer excellent advice and guidance as to what flowers and arrangements will be most suitable. Local florists are usually more flexible in the delivery of your flowers and much more sensitive to the needs of the situation in terms of when, where and how the delivery will take place. 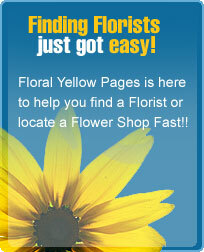 Search our site for local florist.